Apple didn’t just start offering DRM-free music today (which is awesome in itself), they also made a small announcement regarding the Apple TV. What exactly did they say? By mid-June, YouTube will be available on your Apple TV and by tomorrow, you’ll be able to buy an Apple TV with a 160 GB hard drive. Here’s a fun little product from the people at National Geographic. 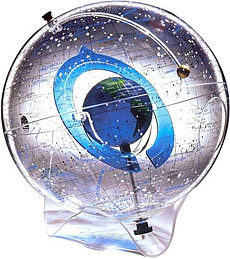 Sure, you know which sphere you stand/sit/sleep on, on a daily basis, but you’ve also got to think,, hmm, where am I really? This is cool for the kids. Because think of all that explanations of astronomical units, distances, and spatial relations. Now you can show kids, (and friends too) just where we are, what we’re looking at, and a tiny glimpse, at what else is out there. Anyone remember paying big bucks for a 20GB hard drive and thinking it was big? If there’s one constant in the computer world it’s that storage will get bigger, faster and cheaper as time goes on. Also your available data will always expand to fill the hard drive space available – that seems to be a pretty common trait too! We found out about this thanks to Yanko Design, the Liika, an ironing board that can fit just about anywhere and iron from any angle. 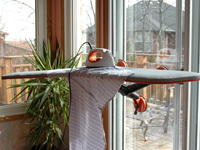 Home Interior student Tony Zakrajsek received a 2006 Nienkamper Award for his thesis about a boomerang shaped ironing board using reticulating tripod fitted with large, pivoting suction cups. 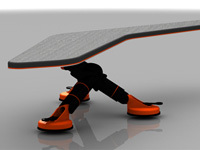 This feature not only allows it to either stand on it’s own, but can also be secured to any non porous surface. Not only does this allow for doing your ironing just about anywhere, but it also provides for flexible and comfortable height adjustment that conventional ironing boards don’t provide enough of. If you’re a tall person, you will understand what that means. 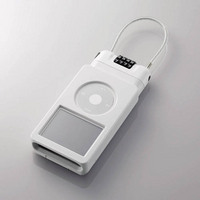 Of all the gadgets that we own iPods have to be high up on the thieves list for things to take, yet because of its size the iPod does not really make it difficult for someone to simply pick it up and walk away with, after all it only takes a few seconds of being careless and that’s it, no iPod and no music collection. Fortunately there are some solutions, one of which is the Elecom Anti Theft Case. You can never achieve the perfect golf swing despite facts pointing otherwise in theory. Just ask Tiger Woods – even when he’s playing in a totally different person compared to his peers, he still has not achieved the perfect swing under all conditions. If you’re an avid fan of golf and want to make a quick impact in your game by learning through your mistakes in earnest, the iTrainer Golf system could be just the ticket. In a nutshell, the iTrainer is a sophisticated system that uses 3D sensors to measure all the key aspects within your swing thanks to a Bluetooth module attached to the club, comparing those results to an optimum swing profile while providing instantaneous feedback through a wireless headset. Getting organized, what organizer to use, & what’s next from Palm? Staying organized, its a difficult task that all of us are involved in, one way or another, EVERY SINGLE DAY. There are a ton of options: Moleskine, Palm Pilot, Blackberry, Online with Google Cal, Yahoo Calendar, Scrybe, Plaxo, the old standby Outlook, Highrise, and many more. 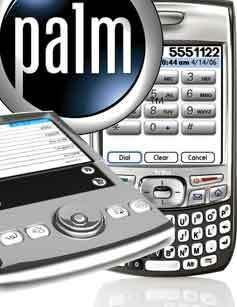 Read moreGetting organized, what organizer to use, & what’s next from Palm?